Halloween is coming soon – this is a fun tutorial for those little (or big) goblins! 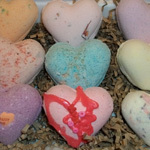 With the use of Shimmer Dust Glitter, it’s a unique twist to a fun soap! 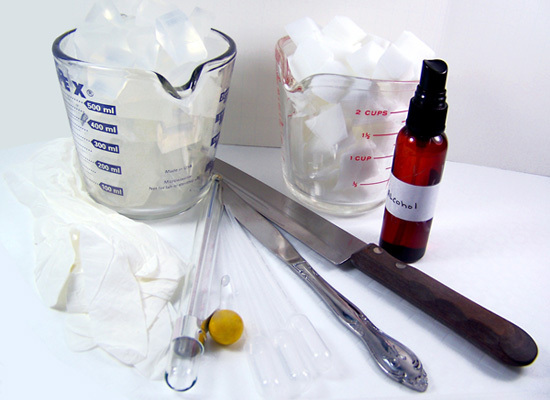 Step 1: Cut up approximately 2 ounces of Ultra Clear Melt & Pour soap base and 2 ounces of White Melt & Pour soap base into small cubes using a sharp knife. Step 2: Take 2 ounces of cubed White Melt and Pour soap base and place in a microwave safe glass container. 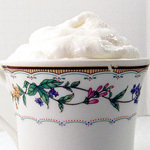 Melt in the microwave in 15-second bursts until melted. 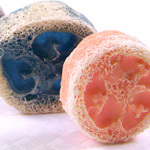 Be careful, this is not a lot of soap and can easily boil which will result in a poor quality rubbery soap. 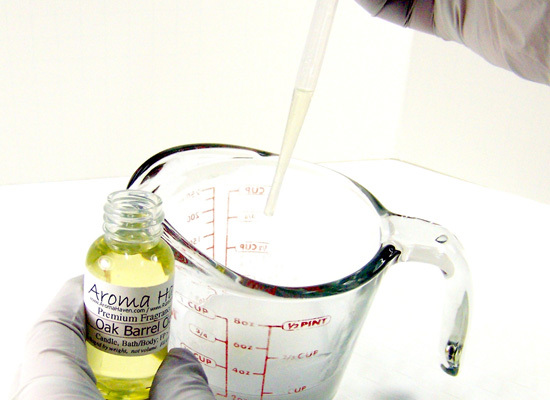 Step 3: Using a disposable pipette add 1/2 ml of Oak Barrel Cider fragrance oil and stir slowly until mixed well. This scent is perfect for Halloween time! Lovely scent of apple & mulled fruits with spicy cinnamon sticks, brown sugar, vanilla beans and warm wood. Tip: Monitor your soap with a thermometer to make sure it isn’t too hot. 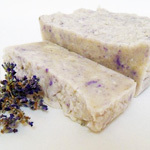 I like to make sure my soap is within 145 degrees before adding any fragrance oils or additives. Step 4: Spritz alcohol lightly into the Vampire Teeth silicone mold. 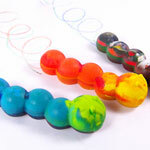 This will help the soap base flow smoothly into the design. 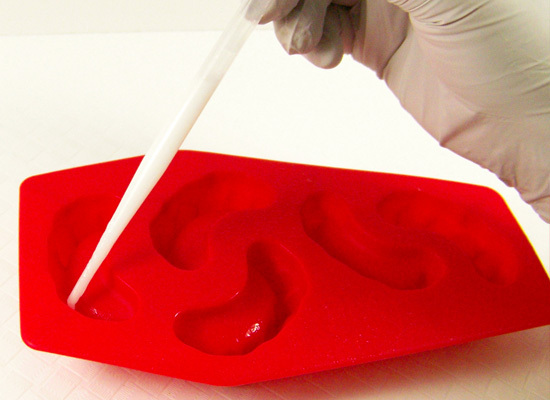 Step 5: To make the “teeth”, use a Disposable Pipette to add melted white soap base to each cavity, making sure to only fill the tooth portion of the silicone mold. You may need to spritz alcohol periodically in case of any bubbles. 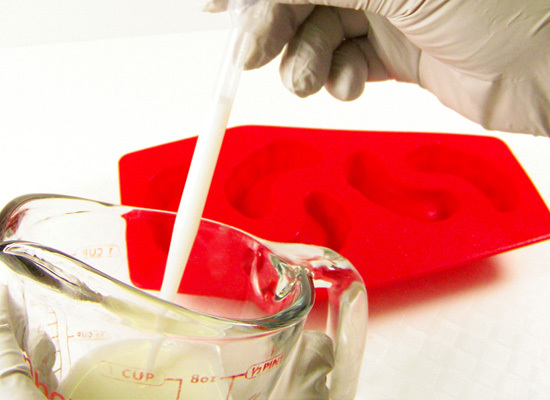 Tip: Using a pipette, only fill half way up the teeth, continue with the remainder of the cavities. Spritz with alcohol again, and then go back and finish filling. 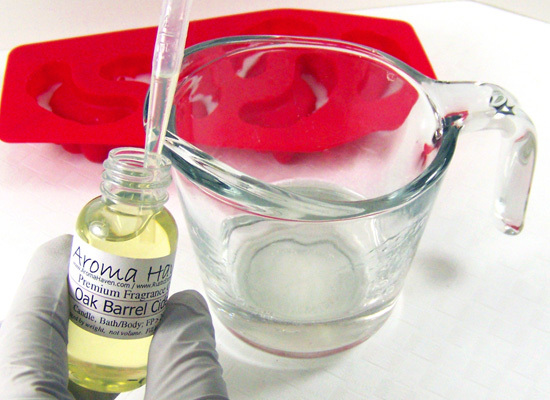 Step 6: To make the “gums” part, repeat Steps 1 – 3 above with 2 ounces of the cubed Ultra Clear Melt and Pour soap base. 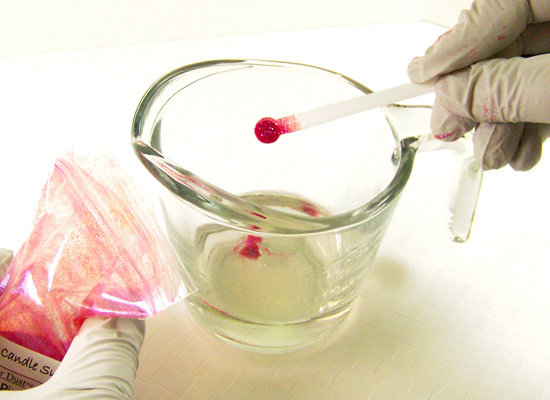 Step 7: Using a 0.15cc scoop, slowly stir in 4 scoops of the Shimmer Dust Glitter in Pretty in Pink. Add the glitter slowly while stirring to prevent clumping. Continue to add and stir until fully incorporated. Depending on the look you are going for, the cooler the soap is when pouring, the more your glitter remains suspended evenly in the soap. 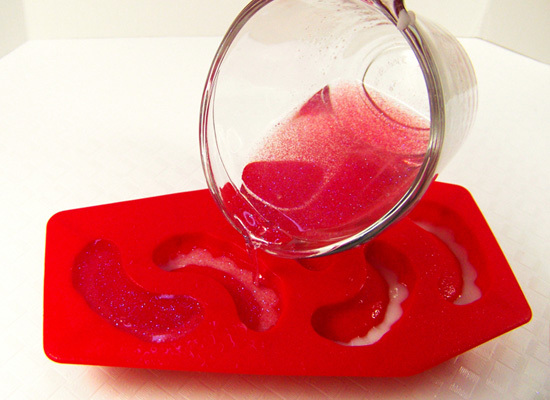 If you pour it warmer, the glitter will settle along the “gums” of the soap mold. Tip: If you’re unfamiliar with adding additives like glitter to the soap, check out the Exfoliating Massage Bar tutorial for some helpful tips. Step 8: Spritz the soap in your silicone mold (your “teeth”) with alcohol to allow the pink glitter soap to easily adhere. 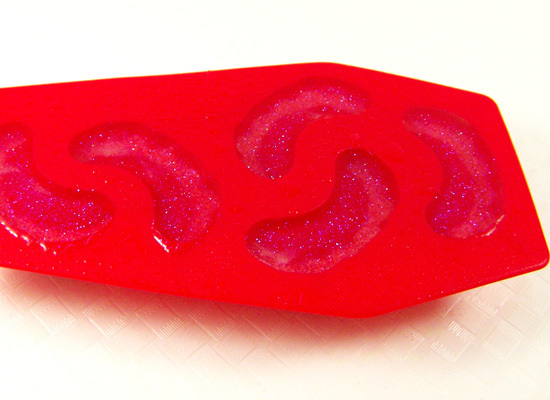 Step 9: Pour the pink shimmery soap into the Vampire teeth silicone soap mold. Step 10: Spitz soap with alcohol to remove any bubbles that may have formed on top while pouring. 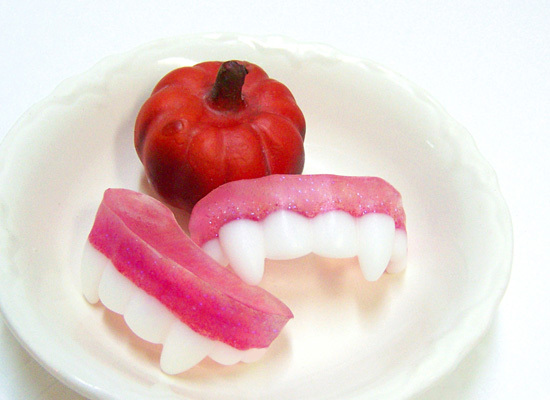 Wait approximately 1 hour for the vampire teeth soap to set. 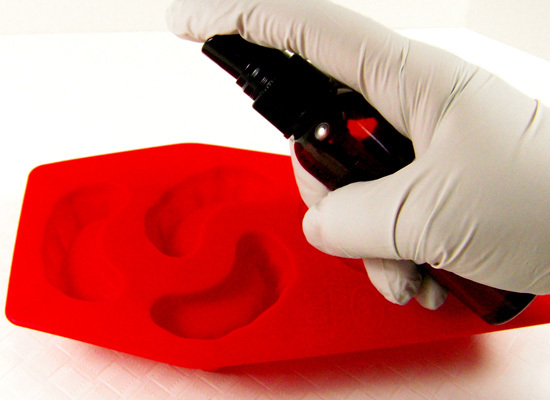 Step 11: Remove your soap from the silicone soap mold gently by slowly pressing on the bottom of the mold. Be creative and try something different. I love to use the Shimmer Dust glitters in soap, so I pulled out some Shimmer Dust Glitter in Red and followed the Steps above. 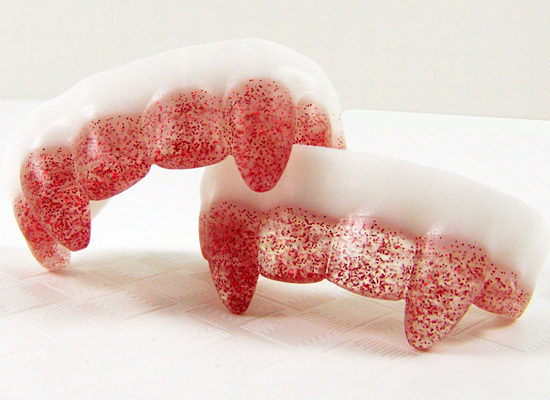 I added the red glitter in some clear soap for the “teeth” and white soap for the “gums”. This added an extra scary look I think! 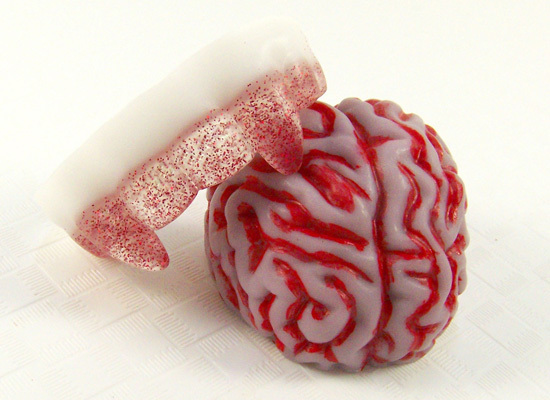 If you liked this Halloween tutorial, check out the Soap Brains tutorial for more Halloween fun!